Each of us carries around a fool-proof poison ivy identification tool: our upper body shape. Our head, neck and arms are all connected to our body. 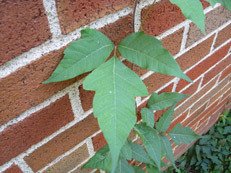 Remember: a person is a person whether they are right side-up or upside-down; the same holds true for poison ivy leaves. 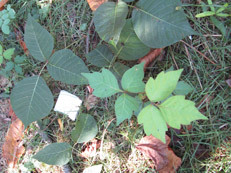 On the right, the lighter and smaller plant is a poison ivy seedling. Notice the ‘head’, a small ‘neck’ (like a baby) and two ‘arms’. 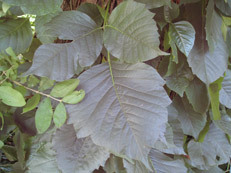 To the left and top are mature poison ivy leaves. Please show your skills by identifying their head, neck and arms. Congratulations for learning this invaluable identification tool! Now you are ready to avoid them, wherever they may be!